If you haven’t shopped flooring lately, then you’ll be blown away with all the different options available that put fashion at your feet. At Rene & Son we offer more than discounted flooring. We give you an opportunity to achieve a look that will have friends and family bragging about your sense of fashion. You’ll be wowed at the new designs and brilliant finishes that accompany both hardwood and laminate flooring. 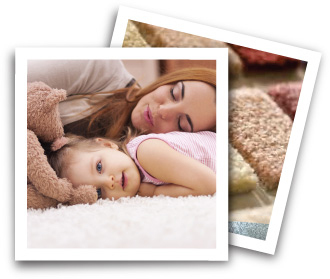 If it’s carpet that you’re looking for, you won’t believe all the new pattern looks and colors. Click on our PRODUCT links above and view hundreds of samples from our manufacturer’s websites. We offer brands you’ve come to know and trust because they offer style, quality, value, and the best warranties in the business. Come in and let us help you create beautiful rooms in your home. We offer sales and professional installation of carpet, ceramic tile, hardwood floors, laminate flooring, vinyl, linoleum and more. Our staff offers years of flooring experience and knowledge not often found in the large national chain stores. Because we are locally owned, we want to help you make the right flooring and installation decisions and ensure your satisfaction for years to come. The most important day in the life of your floor covering is the day it is installed. Installing carpet requires knowledge of people skills, technical ability and craftmanship. Flooring purchased from Rene & Son are installed by professionals with 20 to 30 years of experience. Installation can be the single biggest problem experienced by most consumers with new floor covering purchases. If your flooring is not installed properly, your new flooring may not look or last as it should.